The fuel will be charged according to consumption. The cost of the final cleaning is 30,00 €. 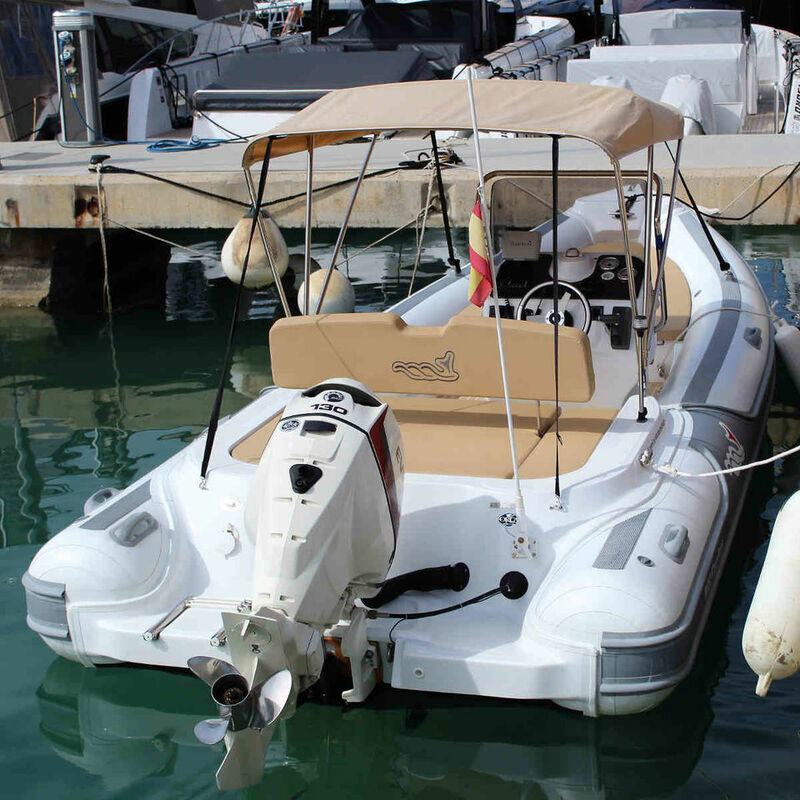 This 1 year old powerboat MV Marine 620 Comfort is a guarantee for a high fun factor. With up to 12 people - we recommend max. 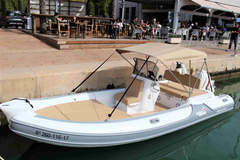 6 peoples - you can spend a beautiful day on the sea and get to know the beautiful bays of Mallorca. 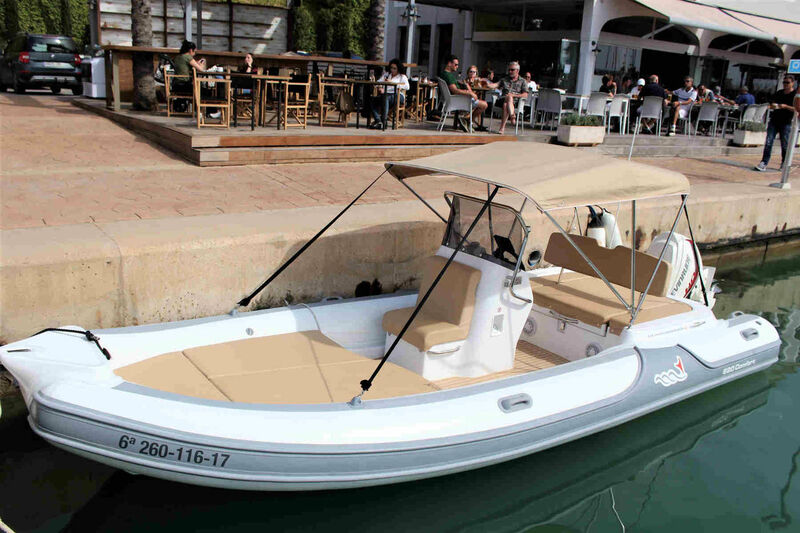 The boat offers you all the amenities such as: fresh water shower, beverage box, bluetooth music system and sufficient lying areas on which you have enough space to relax in the sun. 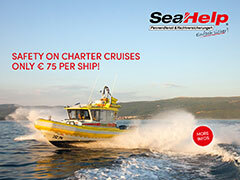 The MV620 Comfort achieves with its 130 hp engine a top speed of up to 40 knots. 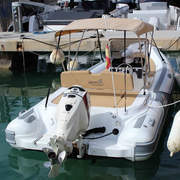 Rent this unique power motorboat at MallorcaRibCharter, your RIB boat rental in Mallorca, today and experience an unforgettable day on the Mediterranean.